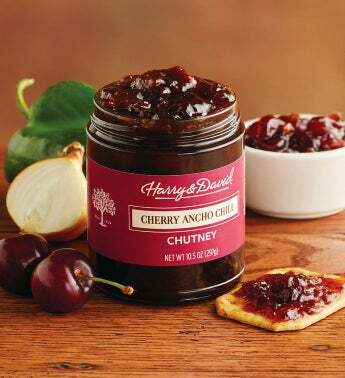 This cherry chutney, one of our gourmet sauces, is a smoky, fruity delight. Made with cherry pieces, this chili chutney also features lemon and pomegranate juice, giving this gourmet sauce a pleasing tartness. Jalapeños and ancho chilis provide a mild spice. We make it easy to order gourmet food online.